Tottenham and Crystal Palace are among clubs reportedly interested in signing goalkeeper Marko Malenica from Croatian side Osijek FC. 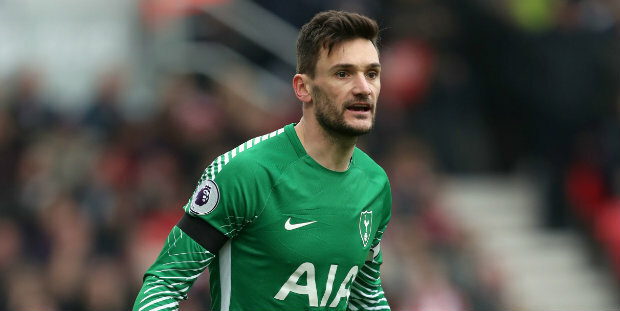 The Daily Star claim Hugo Lloris is set to leave Spurs this summer and that boss Mauricio Pochettino wants to promote Paulo Gazzaniga to number one keeper and bring in Malenica. The newspaper say Malenica is also being tracked by Palace, Watford and Bournemouth. Could Lloris be on his way out of Spurs? Meanwhile, there continues to be speculation over the future of Spurs midfielder Christian Eriksen. The Daily Express say Manchester United, who are among the clubs to have been linked with the Dane, would have to pay £95m for him and that in any case Eriksen would rather join Real Madrid. The Sun have picked up on reports in Italy claiming that Inter Milan have opened preliminary talks about signing Eriksen for £130m. The Star reports that former West Ham defender Scott Minto believes Hammers star Declan Rice is wanted by Real Madrid. And the Daily Telegraph reports that Everton’s Andre Gomes could face retrospective action from the FA after appearing to catch Fulham striker Aleksandar Mitrovic’s ankle with his studs on Saturday. Be the first to comment on "Paper round-up: Keeper being eyed Tottenham, Crystal Palace and Watford"